Hello loves! 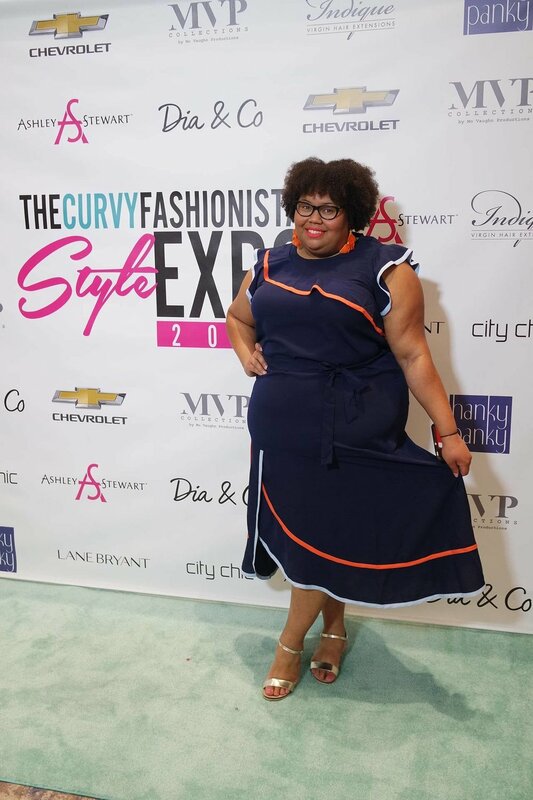 Over the weekend I had the pleasure of attending the TCFStyleExpo in Atlanta. Though in it's 3rd year of production, it was my first time attending. I was lucky enough to be a VIP guest/blogger and I had a ball. It was definitely the place to be this weekend. If you weren't able to make it, no worries! I've got you covered in this recap. Let's relive this moment in time together! This year's expo took place at the Cobb Galleria Centre. With a food court and gallery boutiques located on the lower level, this was the perfect location for this event. The Exhibition Hall was spacious and allowed for generous seating. Dia & Co had a great setup with a sectional, popcorn stand and the amazing Jonquel Norwood of Jonquel Art, who was on hand to provide FREE illustrations. That ALONE is a reason to come back next year. She is amazing! Of course, I had to get one done :) What do you think? Yep, that's me on the phone next to the drawing! I think she nailed it! Thanks Jonquel for capturing my signature pose! Sausage and gravy, eggs and bacon! Thanks to Dia & Co for sponsoring this Blogger Brunch on Day 2! As bloggers for the event, we were treated to tons of food and fun! From a fabulous Brunch each morning to a taco bar at night, and a lounge stocked with small bites and cocktails, we were VIP in every sense! I loved catching up with bloggers from around the country and even Canada! Pro Tip: Come prepared to network! There was great downtime all throughout our meals to build connections! Oh the fashion! As a plus size blogger, I always have to show props to anyone who believes in giving us choices. And boy were there choices! I can't begin to describe how it feels to walk into a convention ballroom full of vendors who include YOU! The Ashley Stewart "Finding Ashley" Pageant was in attendance and the ladies rocked the stage! Bloggers brought their best looks and slayyyyyyed all over the exhibition hall and ballrooms. 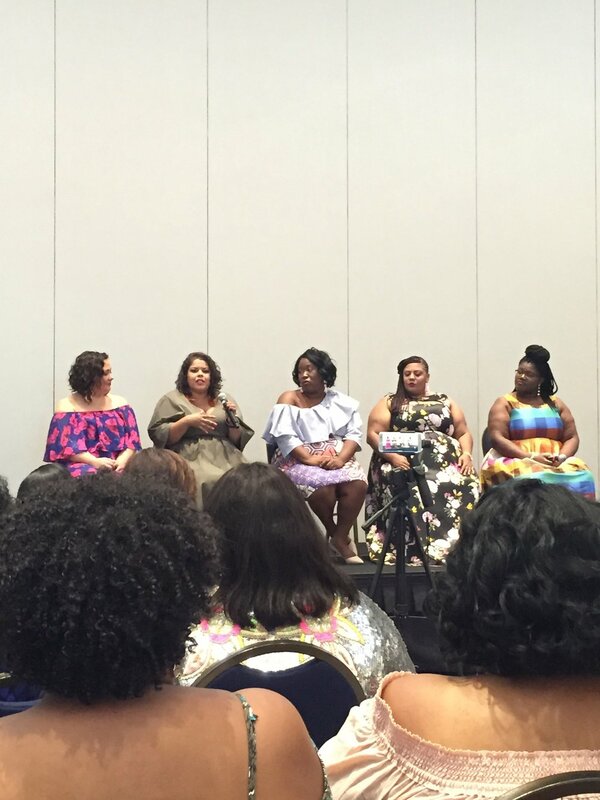 Here are a few of my favorite looks from Bloggers Hayet Rida, Jeniese of The Jenesaisquoi, Darlene, Sandra and Jamilyn of The Instagram Wives, Lisa of MustangSallyTwo and Georgette of GrownandCurvyWoman. As for my looks, all Eloquii, all weekend :). It was a fab experience. I'm ready for next year!